Editor's note: Last week, we published Dave Hunter's "7 Amps in Need of a Reissue," which looked at some great, rare vintage amps that would likely find new fans if remade today. (It's a treatment we've previously given to guitars.) 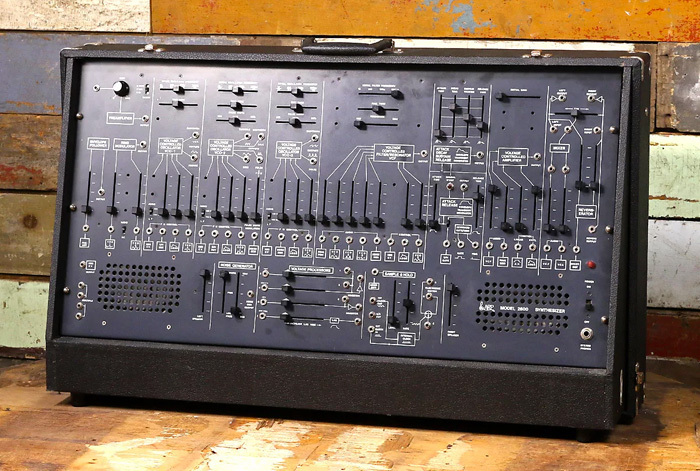 Today, we're turning our attention to six synthesizers we'd love to see faithfully remade today. Reissues are common in the world of guitars and other instruments, so why not synthesizers? Perhaps it's because for most of its young life, the synthesizer has been seen as a technological marvel as much as an instrument. From modular to hard-wired portable units, monophony to polyphony, analog to digital, the key word for synths has always been progress. Reissues, however, are the antithesis of progress. They're nostalgic and traditional, meant to recall a bygone era when things were "better." Now that we've come full circle back to analog being a force in the synthesizer market, it was inevitable that manufacturers would take a page from the book of guitars and reissue some of their classic gear. Moog has done it with its venerable Minimoog, and Korg has had a hit not only with its MS-20 Mini but with a surprise reissue of ARP's Odyssey. Reissues make sense not only to satisfy the market but, by taking advantage of modern manufacturing processes, manufacturers can address their original instruments' shortcomings and solve the problem of diminishing parts, as well as add features like MIDI and USB. Here are six synthesizers that we think are in need of a reissue. We are ignoring clones and digital remixes like the Roland Boutique and Yamaha Reface lines for this piece, as that's a different idea. For our picks below, we'd love to see exacting reissues. It was difficult to whittle it down to just these six, so we have likely left off some you'd like to see. If so, please let us know in the comments. Released in 1981, the Jupiter-8 was Roland's flagship synthesizer and the culmination of a decade's worth of innovation. In an atypical act of hubris, Roland named their synth after the Roman king of the gods, and the Jupiter-8 did indeed sit at the top of the polyphonic pantheon of the time. It became the sound of the second wave of synth pop, making its way onto records by Duran Duran and Erasure. Howard Jones liked it so much he put it on the cover of his record. The Jupiter-8 is an extremely flexible synth, able to do everything from cross mod to sync to unison (16 voices! ), with a switchable 12dB and 24dB low-pass filter adding to the variety. It can handle pretty much whatever you need and do it in a reliable and workmanlike way. Of course, none of this would matter if it didn't sound like heaven. Unlike the American polys of the day, which were through taking your guff, the Jupiter-8 was shiny and clear, and politely excused itself into your mix, doing its best to make your song sound great. 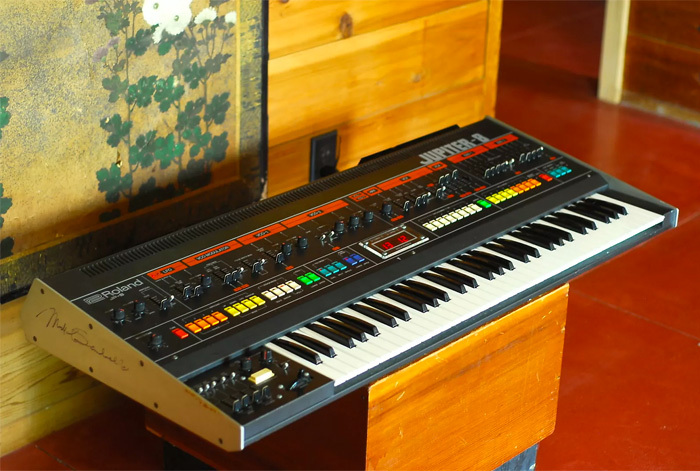 Roland has gotten plenty of mileage out of the Jupiter name over the years, relying on the pedigree without ever achieving the glory of the original synth. The Boutique Series JP-08 only whetted our appetites. Isn't it about time it gave its customers what they've been asking for? Korg had a hit on its hands with the reissue of the ARP Odyssey, so why not make lightning strike twice with the 2600, the big brother of the Odyssey—and one of the most iconic synths ever? Straddling the worlds of modular and portable, the 2600 is a semi-modular, fully normalled synthesizer capable of just about anything you can imagine. Both musically competent and a sound designer's dream, the 2600 has been used by everyone from Edgar Winter, who wore the detachable keyboard around his shoulder like a guitar, to Orbital, to Ben Burtt, who used it to create the distinctive voice of R2-D2. Much like the Odyssey, there were a number of production colors and revisions of the 2600 in its 10 years of production, so we'd love to see Korg issue different versions of the main colors (blue, gray, and black), with a switch for the different filter types. A new generation of synthesists is waiting. Moog has certainly proved it can make a good monosynth. And while there are plenty of classic monos we'd love to see resurrected (hello, Source) what Moog really needs to do is give us a poly. Sure, a brand-new synth like the Moog One is nice, but a reissue of the Memorymoog would be the bee's knees. 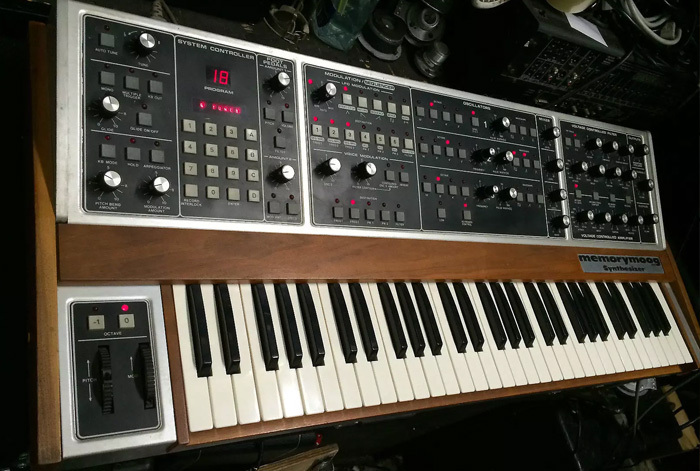 Originally released in 1981, the Memorymoog was the equivalent of six Minimoogs strapped together. With three oscillators per voice and six-voice polyphony, that added up to a whopping 18 oscillators per voice, best heard on its mind-blowingly gargantuan unison mode. Additionally, it had freely mixable waveforms and that famous ladder filter. It was the Cadillac of synths. Hell, the Cadillac is the Memorymoog of cars. It wasn't without its problems though, particularly in terms of its autotune function, and some complained that it dominated any mix it bullied its way into. A reissue with modern components would certainly take care of any tuning issues, and as for being too big and bold, well, that's a problem we'd all be willing to tackle. Korg has always been something of a rebel, willing to take risks when its competitors are reluctant to stray too far from the middle of the road. The Mono/Poly was one such risk, a synthesizer that encouraged experimentation and still remains unique to this day. 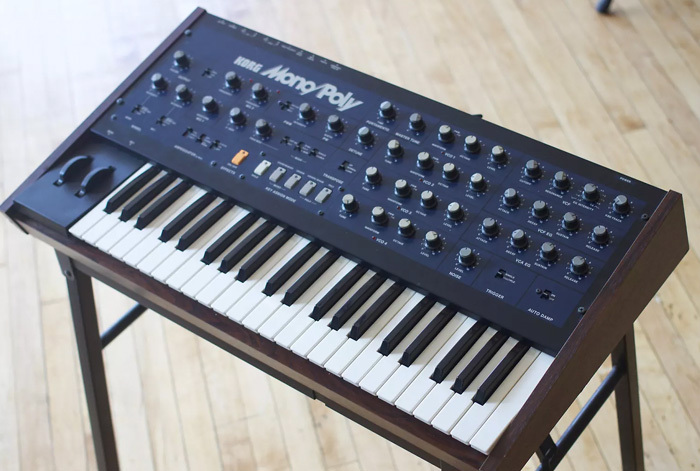 Released in 1981 as a complement to the more straight-ahead Polysix, the Mono/Poly does what it claims to: It can be both a four-oscillator monosynth or a four-voice polysynth. Like the Oberheim Four Voice, it's essentially four separate VCOs in one box, each with its own tuning, volume, and waveform settings. They can be tuned together or apart for big unison sounds or poly chords. This alone would be enough to make it stand out, but the engineers at Korg were good enough to include a bumper crop of cross mod and sync options, as well as one of the coolest arpeggiators in all of synthdom, capable of cycling through each oscillator individually. This kind of analog fun really deserves to live again. Korg, we're begging you. In the mid-'80s, synth manufacturers were searching for the next big hit. Yamaha was wringing everything it could out of FM, while others were trying to figure out how to incorporate digital into their existing architectures. Enter Ensoniq, an American company founded by the inventor of the Commodore 64 SID chip. The ESQ-1 was a hybrid. It used digital samples of waveforms as oscillators that were then put through analog filters and amplifiers. The result was a synth that could do clean and pristine like a DX7 but also hold its own next to analog gear thanks to its inclusion of analog waveforms. The waveforms may have only been 8-bit but this rough plus smooth combination yielded some quite unique timbres, and with three oscillators per voice, it did it with style. Its multitimbrality, sequencer, velocity-sensitive keyboard, and affordable price-point helped make it a success. Ensoniq is no more, but the ESQ-1 deserves another chance. 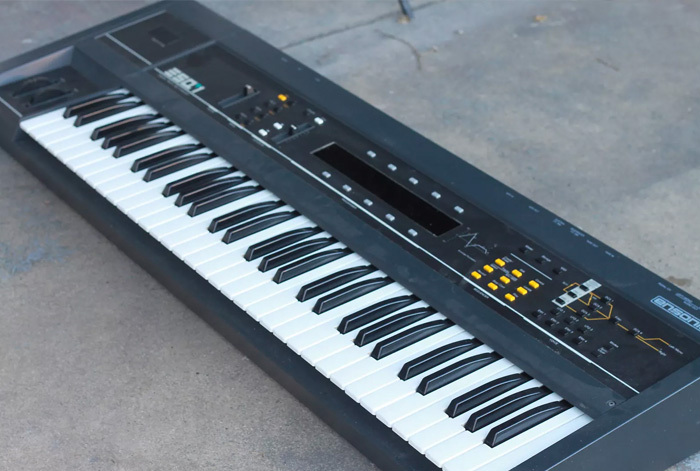 What with the recent release of Sequential Circuits' own hybrid Prophet X, perhaps Dave Smith would like to partner with Ensoniq's founders and reissue the ESQ-1? Assuming they keep the waveforms 8-bit, they could even include a Mirage sampling option. Here, we'll even book the conference room for the meeting. Dave, you know it makes sense. Very few synths scream rock star like the Oberheim OB-Xa. The list of players is a who's who of '80s pop royalty, from Prince to Van Halen to, well, everybody. Even techno heroes Underground Resistance named a song after it. The Matrix-12 may have had all the options but the OB-Xa is the stuff that pop star caviar dreams are made of. 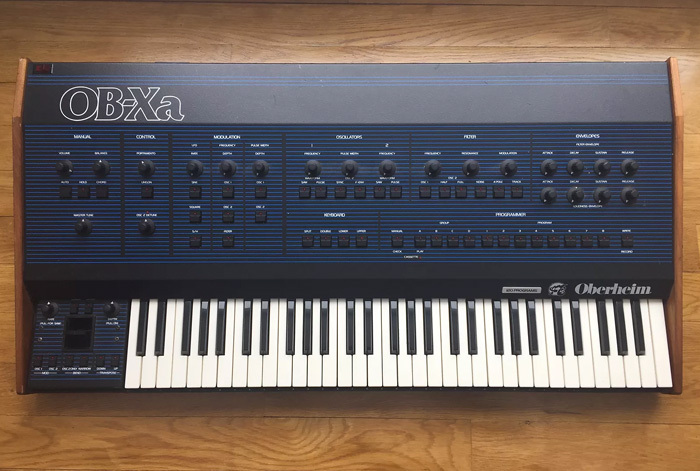 First released in 1980 and available in 4-, 6-, and 8-voice configurations, the OB-Xa was big and bold, with its black chassis and blue pin-stripe detailing. Its Curtis chips solved a number of problems its predecessor, the OB-X, had with discrete circuitry—without losing its power to cut through a mix. It had a great unison mode, and with the ability to individually pan each voice, to call the sound huge was an understatement. It was something akin to a tunable swarm of bees. Tom Oberheim recently had success with his OB-6, released with the help of his friend Dave Smith and Sequential Circuits, so they really should pair up again to get this Star Destroyer of a synth back on the market. Might as well jump, right? Lastly, some of you may be surprised that the venerable EMS Synthi isn't on this list. That's because both the VCS3 and A units are still being manufactured by EMS. The website might be out of date, but the British company is still taking orders. About the Author: Adam Douglas is a musician and synthesizer fan based in Tokyo, Japan. He writes about synths on his blog, Boy Meets Synth.